Sri Ramaswami Memorial University well known as SRM University, formerly known as SRM Institute of Science and Technology is an institute, located in Tamil Nadu, India. This university was established in year 1985. Now it has campus in different cities like, Delhi, Haryana, Gangtok, Modinagar located in Ghaziabad and many more places. SRMJEEE stands for SRM Joint Engineering Entrance Examination and SRMJEEE 2018 Exam is the key to get admission in SRM University. SRM University includes number of educational programs like Engineering, Management, Medicine and Health Science, Science and Humanities and more. 1 How to Apply in SRM University? How to Apply in SRM University? Visit the official website of SRM. Go to the “How to Apply” field. Find “Apply Online with e-payment”. Click on the link given in the description. With the help of these steps, you can apply for admission in SRM University. You can select the city as per your choice. You will be asked to fill up the details once you apply. Follow the guidelines properly. As SRM University is a well known and one of the top universities in India, you must be in the list of eligibility criteria which is there for students who wants to take admission in SRM University. Students who want to appear in SRMJEE Examination must be an Indian citize. NRI citizens can also appear in exam. The candidates who want to appear in SRMJEE Exam can also enrol their name in the International Student Category. Candidate must have clear 12th Any board is acceptable like State Board, CBSE or ICSE. The students who are going to give 12th exam this year are also eligible for appearing in exam. If you want to take admission in Kattankulathur, Ramapuram and Vadapalani campus, it is mandatory that you have cleared your 12th standard with 60% marks. If you are targeting Delhi campus then minimum 55% of marks is required in Physics, Chemistry and Maths. 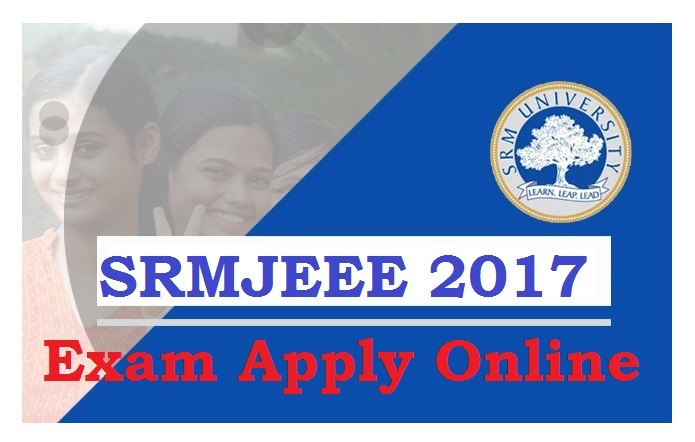 Talking about the SRMJEE 2018 Online Application Form, it has already released in online mode on 18th November(expected). It is recommended that once you fill up the form, keep one Xerox copy with yourself in case you need it in future. Every candidate must be having a Unique Voucher Code with them. You can apply and fill up the details as guided. The price per slot for filling up the Online Application Form is Rs 1060/-. SRM University has announced the important dates regarding examination. Let us see which are the important dates. For any update, it is recommended that candidates who are going to appear in the exam keep visiting the official site of SRM. Application form last date: Last week of March. Date is yet to be released. Booking of slots are starting from last week of march and it will end in April 2018. List of cancelled seats will be declared on 1st May and the list will be available till 30th June 2018. Declaration of Result: 2nd May 2018. On campus counselling, will start from 5th May till 9th May 2018. The application form is not released yet. It will be available from last week of march and will be available till 1st week of April. If you want to download your SRMJEE Online Application form, you need to keep checking you slots. Don’t forget to book your slots otherwise you will face problem while downloading the admit card. Do not forget to take your admit card when you are going to give the examination. If you will forget it you will not be allowed to enter the examination hall. The SRMJEE examination follows a proper pattern. The examination carries 4 different subjects. Let us see what pattern each subject follows and what is the weightage they carry. Physics: 35 questions (105 marks weightage). Chemistry: 35 questions (105 marks weightage). Mathematics: 35 questions (105 marks weightage). Biology: 50 questions (105 marks weightage). One good thing in SRMJEE exam is there is no negative marking. So, keep calm and write the answers properly. Read the question twice then select the answer. As mentioned above, the campus counselling procedure will start from 5th May till 9th May. If still there are seats available after the counselling process, then one more round of counselling will be there after 11th May 2018. The candidates who are qualified in the counselling procedure will be asked to provide the required documents for verification process. So, keep all the necessary documents with you. The process will not go ahead if any of the required document is missing. For the time the closing ranks has not been declared, but if candidates still want to know the cut off, they can refer the previous year’s cut off ranks. With that you will get an approximate idea about what can be the cut off for SRMJEE will be in 2017. I hope this article includes all the mandatory details you were searching for. Still you can refer other sites too for more details. We wish ALL THE BEST to every student who are going to appear in SRMJEE 2018 exam. Prepare well, refer as much material as you can. 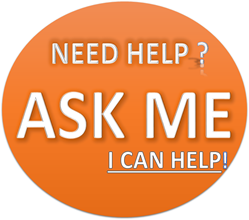 Search all the previous question paper on Google, download PDF files, download video tutorials for the best results. Study 4-5 hours daily if you want to score good marks in the examination. Number of students appear in examination so stay in the competition and keep boosting your motivation. The examination is very easy to crack if you study with full concentration. Good Luck – SHIKSHA DARPAN TEAM.